In April, 2018, the Center for Water Cycle Marine Environment and Disaster Management (CWMD) was established, while Center for Marine Environment Studies and The Implementation Research and Education System Center for Reducing Disaster Risk were merged (integrated). Staff was recruited (gathered) from the Faculty of Advanced Science and Technology, and the Center for Policy Studies. 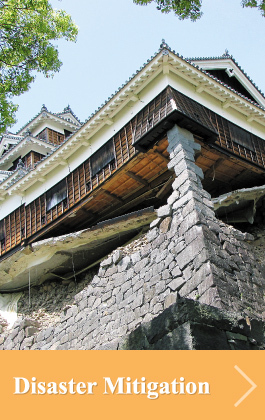 Kumamoto Prefecture, dubbed ‘the Land of Water’, is blessed with groundwater which supplies quality tap water to almost all households in the city. 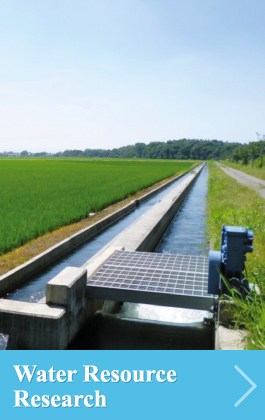 A groundwater cycle system in Kumamoto extends some dozen kilometers from Mt. 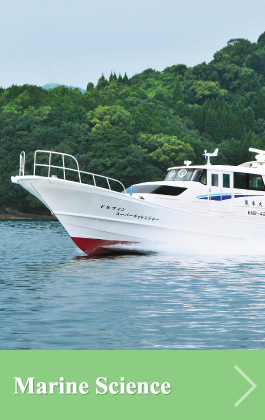 Aso to the Ariake Sea, supporting agricultural areas which produce an abundance of crops, and creating Japan’s widest tidal flats in the Ariake Sea and the Yatsushiro Sea and supporting its wide variety of marine products. This water cycle system is supported by the geological features of Mt. Aso, which have been formed by eons of volcanic activities, and the average annual rainfall of 3000 mm a year, which constantly drench the mountainous areas. On the other hand, however, this natural environment sees frequent disasters such as floods and landslides in the area. Mt. Aso is an active volcano which erupts repeatedly, and the tidal flats of the Ariake Sea and the Yatsushiro Sea are exposed to the frequent risk of storm surges due to the tidal variation that is the biggest in Japan. We are also confronted by some other problems, including a drawdown of groundwater, pollution of water by nitrate nitrogen, deterioration of the environment in coastal areas which include tidal flats, and declining aquatic resources. The Center for Water Cycle, Marine Environment and Disaster Management (CWMD) consists of the Water Resource Research Laboratory, Marine Science Laboratory, Disaster Mitigation Laboratory, and Urban and Regional Design Laboratory. The center nurtures students and adults, using our academic knowledge, and distributes the result of our research in and out of the country, especially to the monsoon regions in Asia. 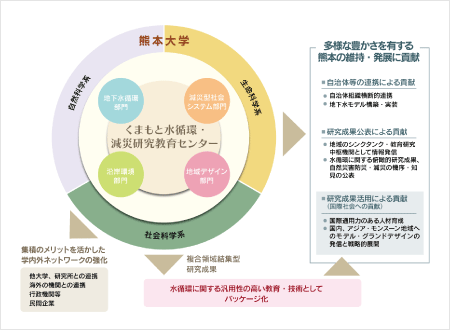 The center is to contribute to the revitalization of Kumamoto through such activities, and to support the reconstruction of areas affected by the Kumamoto earthquakes in 2016. 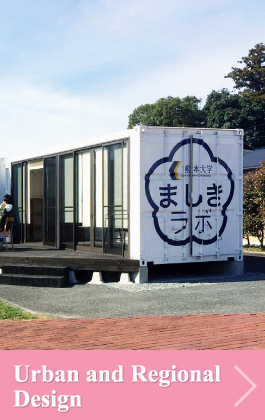 The center has a marine facility, the Aitsu Marine Station in Amakusa, where field studies are provided, and provides environmental education to primary, junior, and senior high-school students as well as adults. Copyright © Center for Water Cycle, Marine Environment and Disaster Management All Rights Reserved.